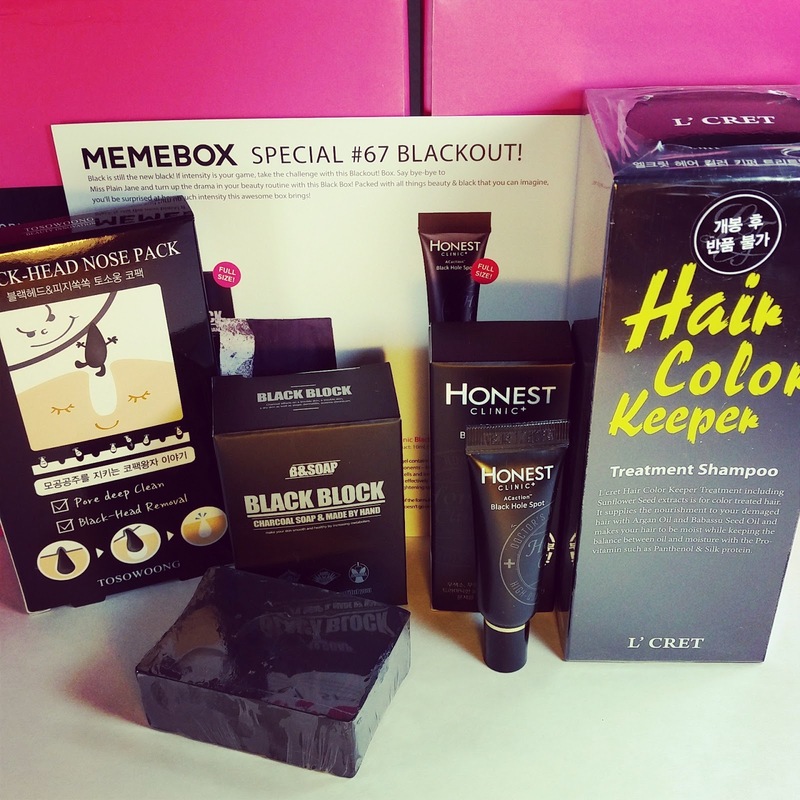 This is the Memebox Blackout! box and I'm doing this review first by request. I still have Bloggers Picks and Apple Mojito to do and I'm feeling like my fingers want to fall off. Not only that but I have Memebox #17 and Tea Tree still trundling their way to me on the slow boat. This box was $19 plus shipping which is on the lower side for Memeboxes. I think that accounts for the fact that there are only four products in the box but that doesn't mean I think it's acceptable. There should have been one more item. "If intensity is your game, take the challenge with this Blackout! Box. 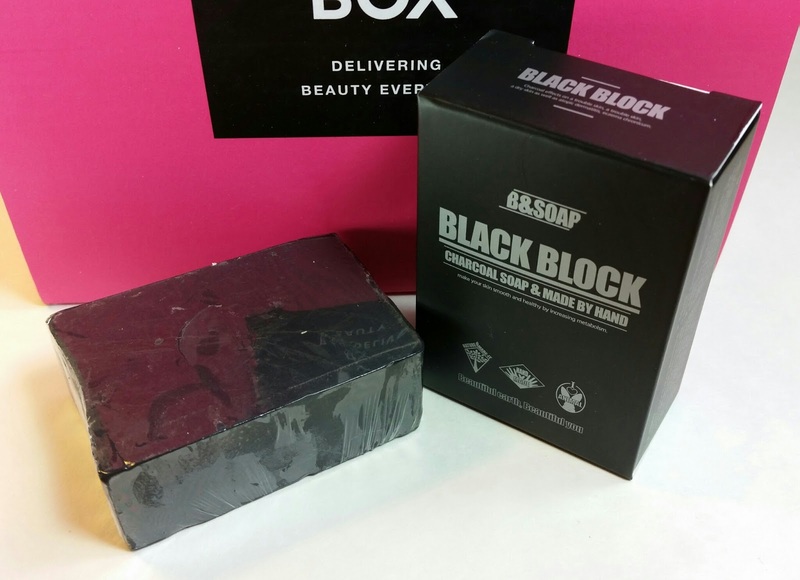 Say bye-bye to Miss Plain Jane and turn up the drama in your beauty routine with this Black Box! Packed with all things beauty in the color black that you can imagine, you’ll be surprised at how much intensity this awesome box brings!" B&Soap Black Block-85g- A black soap bar about the size of my palm. It uses charcoal (my fave! ), rosemary and olive oil to get your skin clean and bright. It's made for combination and oily skin and charcoal absorbs excess impurities while rosemary is a natural antibacterial agent. I actually will use this because I have a "thing" for charcoal. My favorite charcoal product is non-Meme and is the Origins Active Charcoal Mask. So this will be used. This is the same product that was in the $5 sale. 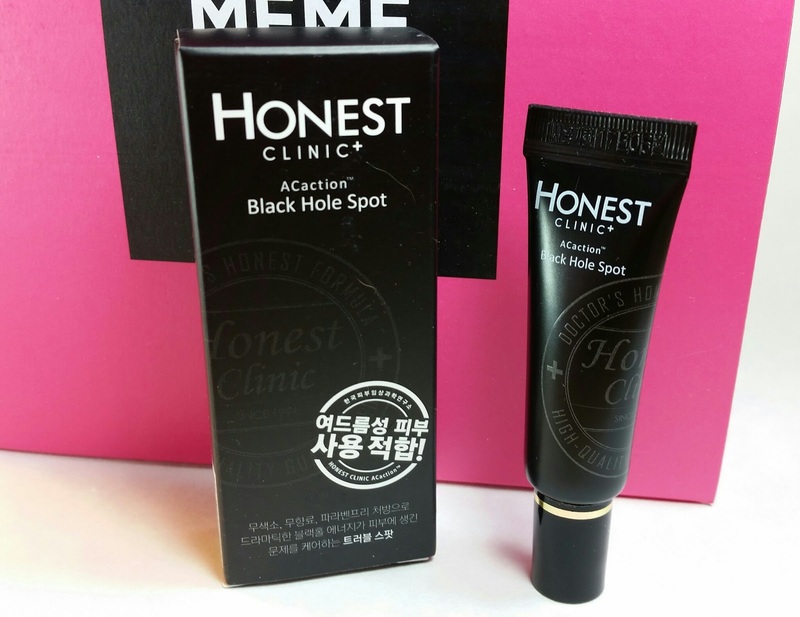 Honest Clinic AC Action Black Hole Spot-10ml- This is a night care spot gel that contains AHA and BHA components. These will help get rid of your excess dead skin as well as smooth the surface of your skin. It also treats blemish spots and brightens your complexion. You're supposed to use this overnight on your troubled spots. I'm a big fan of my AHA cream and it really does what it says for brightening up your skin. It gets rid of any dead skin cells not taken care of by cleansing and encourages your skin cells to regenerate. I'll definitely try this, though I kind of want to smear it over my whole face and not just spots. I'll try it on spots first, though, just in case. 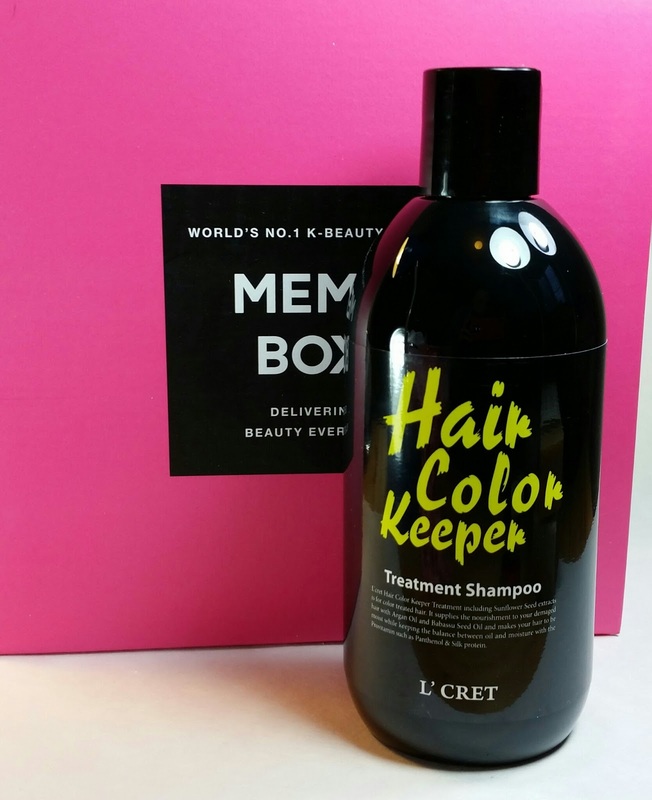 Lioele L'Cret Hair Color Keeper Treatment Shampoo- I feel like I've seen this before but I can't think what box it was in. Oh, it was Rapunzel. This one is for dyed hair. It has sunflower seed oil, babassu seed oil, vitamin B in the form of panthenol and silk protein in it to protect from fading. I'll probably give this away because I have so much shampoo now. But maybe I'll keep it and see if it works. It is not black, by the way. Only the bottle is. 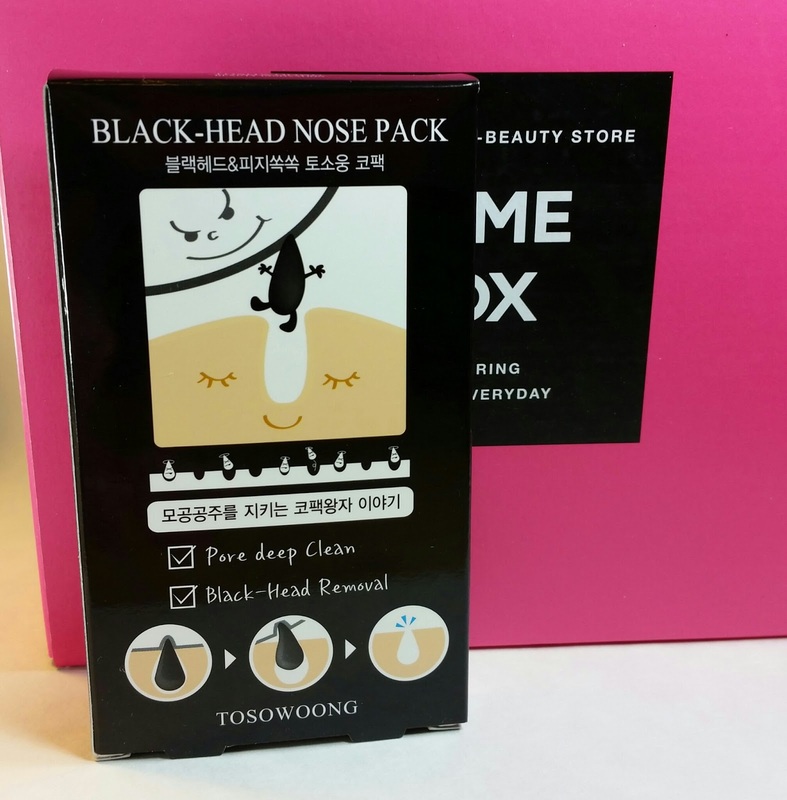 Tosowoong Blackhead Nose Pack- These are formulated with Morrocan lava clay, charcoal powder and volcanic ash. They are made of natural ingredients and the black color comes from the charcoal. It's very gentle and will draw out impurities from stubborn pores around your nose. So the whole reason I bought this box was for charcoal, volcanic ash and charcoal so these are definitely something I will use! VERDICT: Well, really it's kind of a bummer of a box. I bought it hoping for volcanic ash packs (which, really, I don't need because I have some) and charcoal awesomeness in every product. Which I got in two of the products. The other two just have black packaging. Not that they are bad products, just that I wish they were charcoal-y awesomeness. So this box didn't thrill me. It's a serviceable box and it should have had one more product in it especially since 2 of the products were only $6. Although I say that but I don't really care about the price as long as I'll use the items. Still, I don't feel I got my money's worth on this box. I did use a 20% off coupon but still. Even that doesn't make this better for me. Am I too demanding? What do you think of the box? Also!! December codes are out!! The new ones will be active tomorrow December 4th, they're posted in my Memebox Deals page and the November ones have been extended til tonight so if you haven't used one you still can. Check out Memebox and see if there's anything you want! First off thanks for doing this review. I was checking your instagram all day. Hmm where should I start with this box I really am disappointed with the box. I bought 7 boxes rcvd 1 and the 2 I have on the way am really disappointed with luckybox 11 and now the black out box. I think I take their description to heart bcos this box ain't no intensity nothing. I was expecting mud mask face sheets. Proper intensity not things I know I wouldn't use. Maybe they trying to tell me to save my money. Another disappointing box for. Funny this was the box I was looking most forward to receiving. Yes, this was not what I was expecting. Even with the $19 price point, I was expecting more. It's not that these products are bad, they're not... It's that there are SO MANY amazing things that *could* have gone in this box. So I'm disappointed, too. I'm almost positive that they write the descriptions before they even pick out the product for the boxes. Which other ones are you getting? Did you pick up the Next Best Thing in Skincare? That box was one of their most recent ones and it was fantastic. The Thanksgiving boxes turned out pretty well, too. It's always a toss of the dice with mystery boxes like these. /sigh But some of them are SO good it can make up for the bad ones. I have Cleanse and Tone, Brighten and Correct, Garden of Eden and... something else still coming. I know...no more taking their description to heart bcos it was what drew me off the next best thing and I regret not getting that box. I don't know how many times I put it in the cart then deleted it. Oh well. And like you said for a black themed box at $19 the list is endless. It feels like they weren't really bothered. Oh, that's right, you're labeled Anonymous so I didn't realize you were the same person! I'm still bummed I missed First Anniversary but I'm excited for you! Now I'm crossing my fingers that #18 is amazing because I'll feel SO bad if it's awful (for both of us! Hah!). Generally, they've been pretty good and I think if I could only get one box a month I would stick with Globals over anything else. I try so hard not to pay attention to the descriptions but I still cave. I don't know if you saw the Petite Treasures box but it makes this one look spectacular. I'm glad I never go for the "cute" boxes because they are so often disasters. Skincare is my thing. Which Black Friday box did you get? Do you remember? They are looking good!